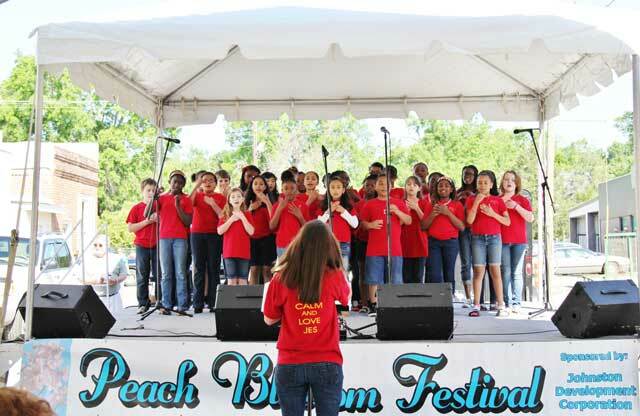 The Johnston Elementary School Chorus performs at last year’s Peach Blossom Festival. The Johnston Peach Blossom Festival is now taking applications for individuals, organizations and businesses interested in being a part of the historic 32nd annual event. The Festival will be held May 2, 2015, in Johnston, known as the Peach Capital of the World. One Response to "Johnston Peach Blossom Festival Accepting Applications"